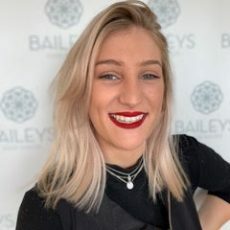 Clare (assistant Manager) is side by side with Marcia and Gennah to deliver the highest quality of standards within “The Bailey’s Brand” Clare is one of our Creative Directors Specialising in formal Styling and a Session Salon Stylist. 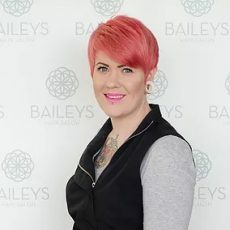 Clare has participated in Cat walk sessions for Myer Fashion Week and If you are looking for fabulous hair for any occasion come and see Clare. Creative Styling at Its BEST! 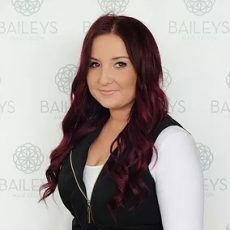 Brittany has been with Baileys for 9 years, starting out as our Saturday assistant she is now a senior stylist with a passion for free hand colouring and a reputation for Brilliant O’mbre. 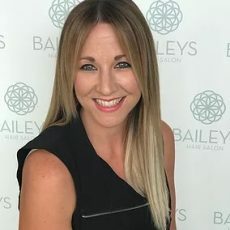 Don’t be fooled by Jamie’s quiet demeanor as she has a passion and drive to reach excellence so you will leave the salon looking and feeling amazing. Our newest Kerastase Ambassador Jamie can recommend a regime to help make your hair look and feel “Movie Star Amazing”. Delivering Customer Care At Its Best! 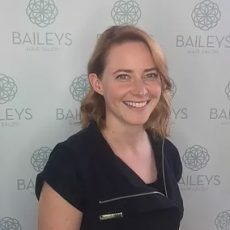 Beth is bubbling with enthusiasm and Knowledge and well on her way to being a Bailey’s Specialist. 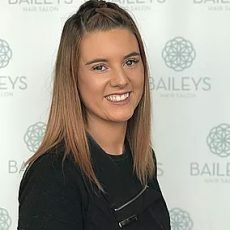 Beth has become an integral team member at Baileys Hair Salon and is going to be an extremely talented Creative Stylist. 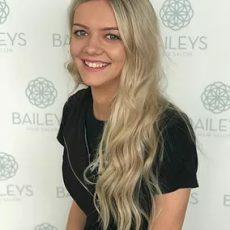 Emma “Our Resident Mermaid” is Baileys Hair Salons Principle Stylist. 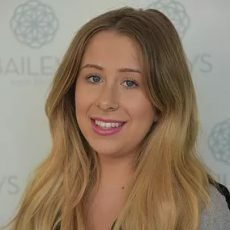 Emma is transforming daily into an amazing stylist and her eagerness to learn is showing great potential of becoming a fantastic and talented Hairdresser. 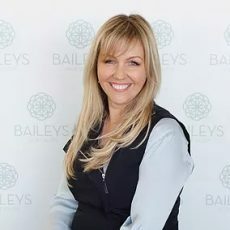 Charlee is our latest addition to the Baileys Team. 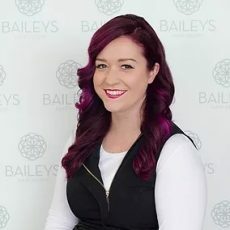 Our newest Junior Stylist is Bright and bubbly with a splash of crazy. 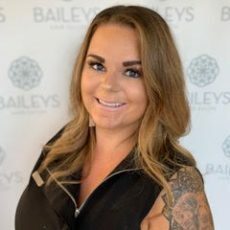 With a background in beauty, Charlee is focused on making clients feel as wonderful as they will look leaving Baileys Hair Salon. Visit Charlee for an amazing head massage! 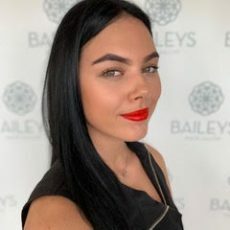 Elina is one of our wonderful junior stylists. She may come across quiet but she is our little Russian Fire Cracker. Elina is an amazing Blow waver and tackles everything that she learns head on without any hesitation.